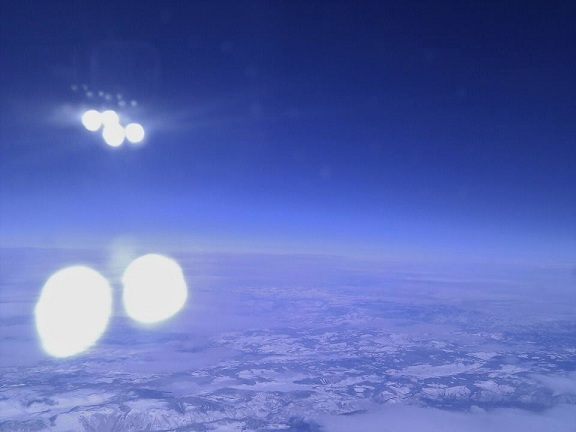 AMAZING PHOTO OF A UFO BUZZING A COMMERCIAL PLANE. We where on a flight from the UK to the Island of Cyprus. The event happened more then half way through the flight and we took pictures and videos. I was filming the view from the plane when I heard people talk about the object behind me. I had no idea what it could have been when I first saw it. The object flew fast next to the plane then slowed its speed to match the plane. 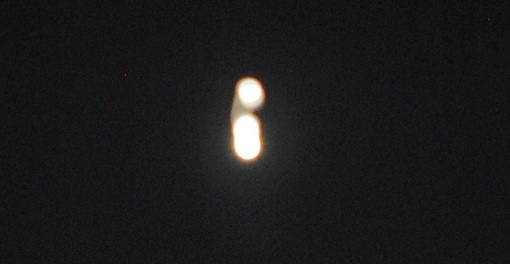 Two beams emerged from the object that seemed to be scanning the plane (evident in picture) then the object suddenly changed direction in a very fast speed. When I first saw the object I was scared as I didn’t know what it was. The whole plane of approximately 100 people saw the objects and started to panic. The captain then asked everyone to fasten their seat belts and not to panic. We lost sight of the object when it flew away in a speed much faster then our plane. There are more pictures and a short video I just didnt get a chance to load them to the PC. 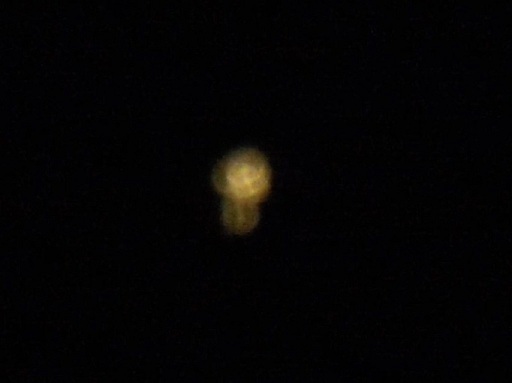 ‘It was just so weird’ — UFO alert after mysterious light seen above Arbroath. 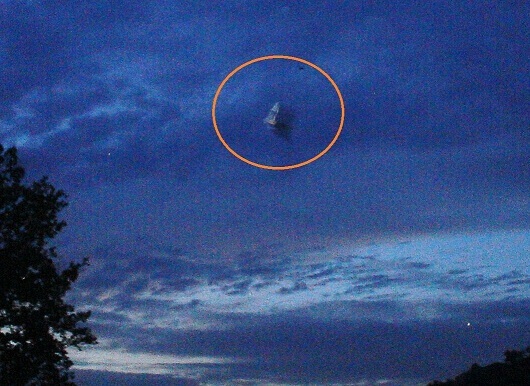 An Angus man has told of his shock at sighting a mysterious object hovering over the county. The witness spotted the seemingly disc-shaped object on Wednesday afternoon when looking west towards Dundee from the rear window of his home in Arbroath. 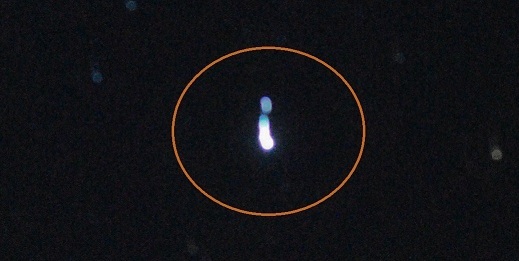 He took two pictures of the UFO, between 1.50-2.10 pm, before it disappeared from view. He said: “It was around sunset and at first I thought it was maybe just the moon shining in a strange way or something like that.” He added: “I was standing at the back window looking to the west towards Dundee. There were a couple of passengers’ planes in the sky and, as the sun set; there was a bit of an air passage towards the west. “The planes were painted red by the sunshine but this thing wasn’t. It was just so weird. The witness said his son also saw the light as he was driving to Dundee. “My son was travelling to Dundee and he phoned to say he saw it. He was about 15 miles away at the time and he said it looked like a light in the sky.” A spokesman for RAF Leuchars confirmed there had been no activity in the area and nothing unusual had appeared on the radar. NOTE: The above photo is real. Special thanks to UFO Casebook and Greame Strachan of the Courier. My mother and I were driving southeast on Hwy. 290 towards Houston, Tx. We were surrounded by farm fields on a clear dark night. We were a few miles from the small town of Waller, which is about 20 miles from Houston. I was driving and there were almost no other cars on the road. My Mother said, “What is that?” and I looked out her window to see a boomerang formation of large white glowing lights. It looked unlike anything Id ever seen. I turned the rearview mirror up so there would be no possible reflections on it and asked her to lower her window for an unobstructed view. She did that and they were still there. I slowed down and, as we watched, the long arm of the boomerang (5 spherical lights) would lose one light as the short arm gained one light–simultaneously. I found this very odd and this action was repeated at least three times with a period of stability (about 30 sec. to several minutes )in between these changes. All the lights glowed steadily, were pure white, had somewhat fuzzy edges, and made no sound whatsoever. The boomerang configuration continued at a steady unwavering path across the sky, with periodic formation changes as described above, until suddenly all lights took off high into the sky in a NW direction. The boomerang shape was constant as they shot off silently and super fast. As far as I know, I removed all variables or complicating factors regarding clear vision of the lights without any reflections on glass, mirrors, metal in the car or even eyeglasses. I did suggest that we stop along the road to watch more intently but my Mother was terrified and begged me not to do it, so I didnt. I was in my early twenties and my Mother was in her early 50s at the time of the sighting. At the time, we regarded the lights as separate objects but, in retrospect, they could have been part of a very large craft. If so, as it banked then that might explain the loss of a light on the long arm of the V shape while the short arm gained a light at the same time. The lights were never in the form of an equilateral triangle. 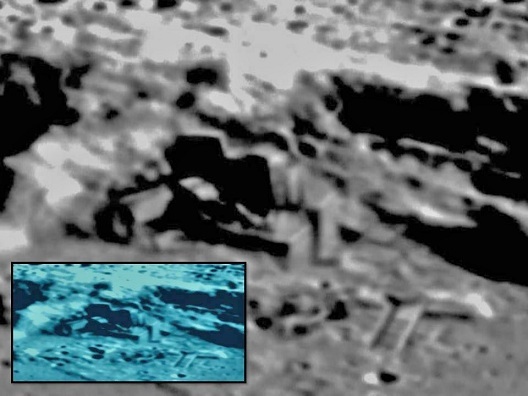 At no point could we see any outline of a large craft either. The space between the lights were dead black as was the sky in general. The size of the configuration was extremely large. NOTE: The above image is a rendering. I had returned home on at 7.30 PM and started unloading a few groceries into my garage. In the process of doing that, I looked into the sky and noticed what appeared to be a small group of three circular cloud or misty like objects hovering about 150 to 250 feet in the air at about a 60 degree elavation. It appeared a bit unusual at first and I was about to continue unloading items when a fourth object appeared moving in a zig zag pattern leaving a bright orange trail behind it until it moved into close proximity of the other three objects. They hovered for about one minute and then began rotating in a clockwise direction at about 20 to 30 feet apart at equal distance from each other. I would not have paid much attention had I not noticed the fourth object arrive. I watch them rotate in a circular pattern and the merge into one object which appeared to spin then break up into four object again and repeat the process over again. I tried to determine what it was and looked around to see if anything could be causing it. I was convinced it was nothing like search light or anything else that was making what I was witnessing. I walked toward the oject and they huddled together and moved away. The closer I got to them the more they moved away I was amazed and curious. I looked around to see if I could find a neighbor to confirm what was happening and no one appeared to be home so I proceeded to my house to awaken my son to witness this event. He proceeds outside and I said observe this and see what happens when I approach them . He watched and his exact words were that is really creepy. This continued for about 30 minutes from when I first noticed them. They continued as we went inside as the temperature was 45 degrees outside. Entering into the house he said they were UFO ‘s. I have worked on submarines, aircraft carriers, airplanes and heliocopters and I don’t know what they were but I have never seen anything like what we had seen. It started to rain about 15 minute after entering the house I went back outside to check on them and they were gone. I had made an attemt to photogragh them with my cell phone but having a lower grade cell phone, the attempt was not successful. NOTE: The above image is a rendering. Portsmouth is next to Oceana Naval Air Station and across the inlet from Langley Airforce base. My friend and I where standing outside our work building approximately 9:00pm CDT. 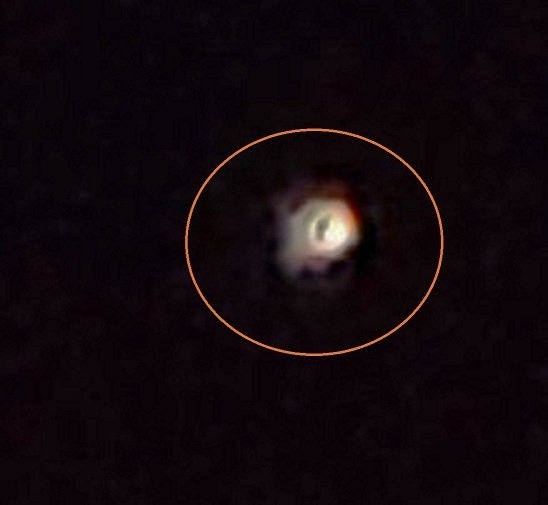 We saw a very strange low flying spherical object,glowing bright red/orange, the lights never blinked. 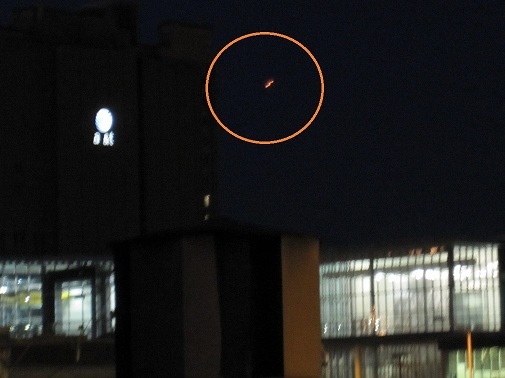 We watched it from 1700 Walnut KCMO and it appeared to be above the and around the AT&T building. It then started to head towards the airport and we lost sight of it. I went up to the roof to see if I could get another glimpse of the object. Suddenly it was back and I snapped a couple of photos of it passing around the AT&T building before heading north again. Its movement was not like an airplane or a helicopter. It passed right in front of the AT&T building right below the sign, which is less than a mile from where I was standing. All I saw was a spherical object, very bright, glowing red and orange. My camera time lapse didnt focus quick enough to get a good shots in front of the building. Its a new cannon powershot and doesnt take photos all that well at night. It took less than 2-5 seconds from the first photo, pass in front of the AT&T building, and then head north. Second photo is after the pass of the building. I thought this would have been some kind of light rotating or reflection of some sorts but kept looking around with not finding anything at all. There were several helicopters and planes we could see in the distance that did not compare to this spherical glowing object. My clearest photo was in the 20x Digital zoom. 12.1 megapixel. 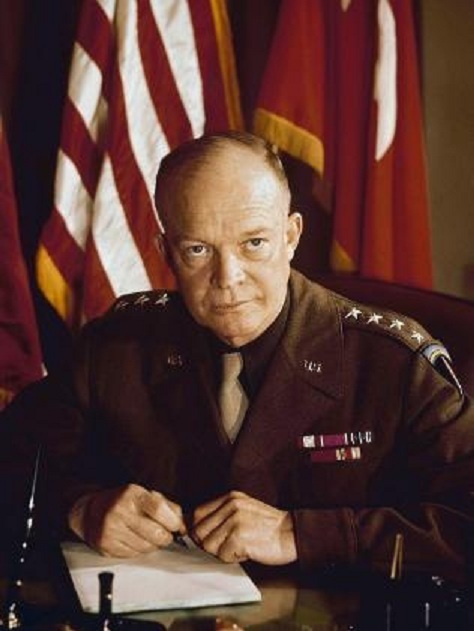 Eisenhower and other FBI officials are said to have organised the showdown with the space creatures by sending out ‘telepathic messages’. The two parties finally met up on three separate occasions at the Holloman Air Force base and there were ‘many witnesses’. But the claims from Mr Good, a former U.S. Congress and Pentagon consultant, are the first to be made publicly by a prominent academic. Speaking on Frank Skinner’s BBC2 current affairs show Opinionated, he said that governments around the world have been in regular contact with aliens for many decades. ‘Aliens have made both formal and informal contact with thousands of people throughout the world from all walks of life,’ he added. He added that there were ‘many witnesses’. http://youtu.be/hKadoX3rfcE Thanks to Truth Behind the Scenes. On the night of Feb.7th 2012 I went outside to look at the full moon. I noticed a very bright object to the North-West that seemed to hover and flicker as if spinning. After watching for about 5 minutes all of a sudden a fire ball shot from this object. I went inside to get a camera to try to photograph this object. I had was a Sony Sure Shot 8 meg. to try to get a picture. I took several as I tried to zoom in closer to this bright light. To my surprise when I downloaded the pictures to my computer I was amazed to see that one of the pictures looked like some type of craft,round in shape with a bulging center,the color of the Center was green. There were clouds in the area but I was still able to get a nice photo. This object hovered as if hanging around for several hours and just disappeared. I wasn’t scared as I have met several people in this field and I just wanted to document this object. I am told that I live in a Hot Bed for anomalous activity, so I am always looking up when time permits. I am happy to report that looking up and paying attention seems to have paid off with this strange photo. I have no idea what it is,but I do know it is not a plane, remote toy, hot air balloon,etc. Hopefully someone else is paying attention in my area or better still someone can take my uploaded photo and decipher this object. I really dont think we are alone in this world as I have witnessed many strange anomalies in my area for the past several years. Is this some type of craft, satellite? I dont have the answers,but for those who are sky watchers I hope you enjoy. Peace and Blessings. I was outside trying to catch lightening from a storm passing by St. Louis at about 8:49 PM CDT. I was randomly snapping off pictures, trying to catch a bolt of the many flashing around my house at the time. After downloading them to my computer, I notice a strange “triangle” of apparently 3 white dots over my next door neighbors house, as seen in the “01” image. I increased the brightness of that image some to bring out the few raindrops also captured in the image, but no lightening (which I never caught!) I zoomed in on the three lights. 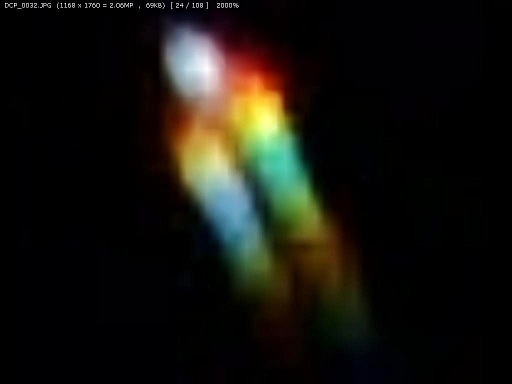 the “03” image, At 500% in “original” brightness, it appears that the three lights were more than that; a white light with two yellow lights emitting “rainbows,” all lights possibley within or around a larger red light. At 2000%, in original brightness, image “05” is zoomed about as much as possible for the image density. Curiously, the enlarged perspective of the lights is different than the original pespective, especially where the “rainbow” streaks become more visible and what appeared to be three lights at low resolution looks much different at higher resolution. The rainbow “rays” and the “quantum leap” perspective of the lights from low to high resolution are unidentified to me. 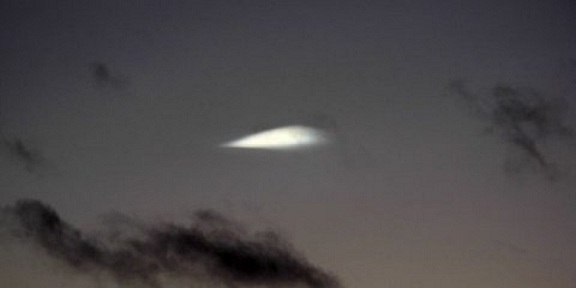 Apparently, an object in the sky underneath the clouds, natural or artificial, emitted these lights. In a strange irony, how “funny” to see a rainbow in the sky at night. Starting on the evening of Feb. 2. 2012, I observed a brighter than normal light in the north sky from our back yard at approximately 8 – 9PM, which so exceeded the brightness of all other stars visible that it caught my interest and I brought out my Nikon digital camera and tripod to photograph it. Upon focusing in, there appeared a glowing sphere on top of an upright oval shape which also glowed a golden color, with the sphere slightly offset to the right of the upright oval shape, similar to an icon of a person, if you will.. Hence, two apparent objects very close to one another or connected in some manner. I was surprised to discover the dual nature of the object and how they each had distinctly different shapes, yet appeared to glow the same golden color. There were multiple witnesses to this event in my backyard at the time and we all saw the object(s) and thought it quite unusual as this was not commonly seen at this time of night or in that region of sky, nor have I ever seen anything of comparable brightness to it in the night sky near my home. 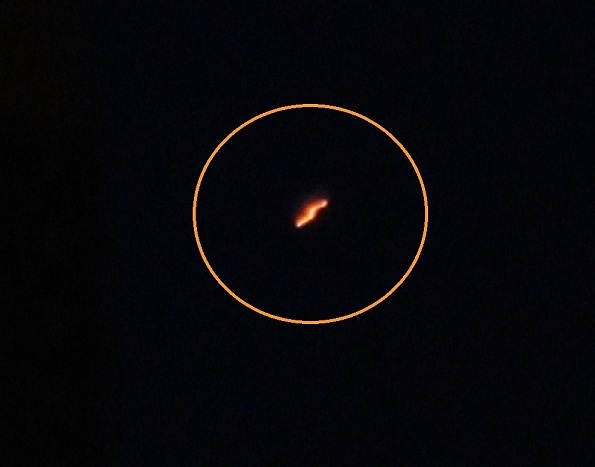 My wife and I discussed this and said amongst ourselves “..this could be a satellite or some other type of object but it doesn’t appear to be any type of star weve ever seen.” I resolved to attempt to study this object further and see if it might reappear the following night. If so, would that indicate it is a natural object or is in a fixed orbit at that precise location?  I took 6 photographs on 2/2, then attempted to repeat the observations on 2/3 and did indeed see the object in the night sky in the same relative location, although this particular night, the object displayed different colors; I took 3 pictures on the evening of 2/3/12. 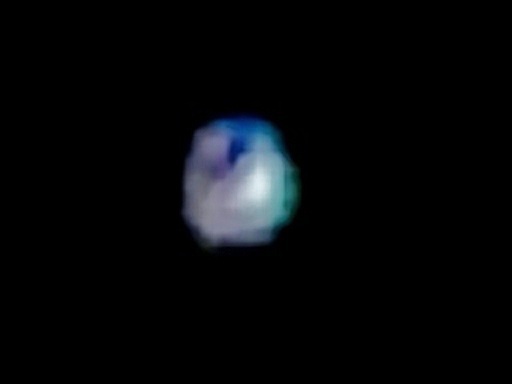 The sphere was glowing white and the base (upright oval portion) was dark blue in color. My camera is a Nikon D60 10MP with 200mm zoom in manual mode. 5-second and 8-second exposures were done on a tripod with a timer so no possible bumping of the camera or jitter could be induced into the image. I have seen an orb-like light/craft on 3 occasions now, in the same place. My partner has seen it too. It is very slow moving and has even been stationary/hovering. It seems to change shape or pulsate into other shapes. It is about house height but obviously is a couple of miles away in the distance but it is a lot lower than any star. This object seemed to be stationary for a few minutes last night and then I noticed another object which at first I thought was an aircraft come directly in line with the orb. This craft then flew round to the east of where we were and came directly towards us. Its lights were the brightest white you could imagine, not like aircraft landing lights. Brighter, as if burning bright white. There were a number of bright red lights on it too, they were not flashing. There appeared to be a red colour on the craft but can’t be sure if this was just the light reflection. The craft was grey. Like a cross shape, but when I try to describe what the actual shape was, I cant! I know in my mind what it was like but haven’t got the words to describe exactly! There were a few of the white lights on it and about 4 of the red ones. It passed straight over our heads about 800 feet straight upwards. There is an airport right near us called East Midlands Airport, so I am making my height estimation on what I normally see going in to the airport. Me and my partner watched the craft. It didnt take the flight path of a landing aeroplane it went on its own course. It definately did not go toward the airport it carried on flying West almost South West and appeared to maintain the same altitude throughout. There was noise with this craft but it was very quiet and totally different to that of the usual crafts that pass over here on a daily basis. It was a cloud-free, clear, cold night and the noise the craft made was just like a bit of a whirring noise, not recognisable to me or my partner. The orb craft finally flew in to the distance as did the one that flew above our heads. My mom and I were traveling home from Church that night. It was New Years Day night and also Sunday so we had Church. As I was traveling south from Tyler, TX towards Frankston, TX, I noticed a weird light in the sky. It was a different color than the planets and stars that we are used to seeing and that is what caught my attention about this light. 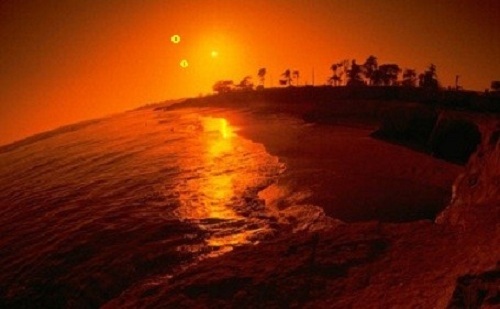 The stars and planets are all bright white colored and this was a distinct orange-yellow color. However, at first I thought that maybe it was the North Star because of the location of it, it seemed to be closer to the ground and very, very bright. We made a right turn to go home and saw the object again from a different angle and it seemed to not be as bright as before and more yellow-orange than it was before too. The object was so intriguing and fascinating to me that I felt compelled to check it out more so I dropped my mom off at home and then took my camera to the marina to get a better look at it. When I got to the marina the object had moved over accross the lake and was hovering over the other side of the shore. There were alot of people out shooting fireworks so occasionally I would hear and see fireworks accross the lake underneath where the object was hovering. It looked like a orange yellow ball that was pulsating or blinking colors kinda like disco lights flash. I would see red and blue colors flash inside of this orange yellow ball. I got out my camera right when I got there and took some still pictures and then decided to do a video. It was very cold and my hands were shaking so I am afraid the video may not have come out that well, but it does show the object when I used the zoom on my camera to show more detail of the object and then I would zoom out to show where the object was in relation of the lake and the lights on the lake. The part of the video where you dont see anything but black is when I was trying to get a plane to show up on the video but all the planes I saw were so small compared to this orb that I couldnt get them to show up. The purpose of that was to show the difference between this orb and a plane. I stayed for a while and the object just slowly moved away from where I was until it was just a little spec of light hoving over the horizon. My battery kept going dead so I didnt get to film it all. I felt excited that I got the object on video. I really think it was not a plane because planes are not round, and it moved too funny to be a planet or a star. Weird. P.S. I have tried repeatedly to send my videos but I guess the video files are too big and they wont allow me to submit my report. I will send stills instead. You may find these interesting, there’s many more. I myself just can’t get over the colors these ORB’s produce in rapid succession. I have taken my two minute film and slowed in down then stopped it at every flash then enlarged the image and found this treasure trove of new unseen images. I wasn’t expecting to find much of anything but I guess when UFOs are examined you just never know what your going to find.  This UFO was caught on digital film in Clinton, Ct. 06413, I was at my storage facility which is located about 800 ft. from the long Island sound, on the clinton / westbrook town line. I had my flip camera pointed west towards N.Y. I filed a report and sent some pics to MUFON and NUFOC a few days ago. The one picture of the original film has the date and timecode that is the actual metadata encoded by the Flip digital Camera( I used that night). I also want to express to you that this is all real..no photoshop or camera tricks etc. Hoaxers waste our time and delude the real truth thats out there. Thanks ken for your interest. I think your site is a good compilation and very easy to navigate. 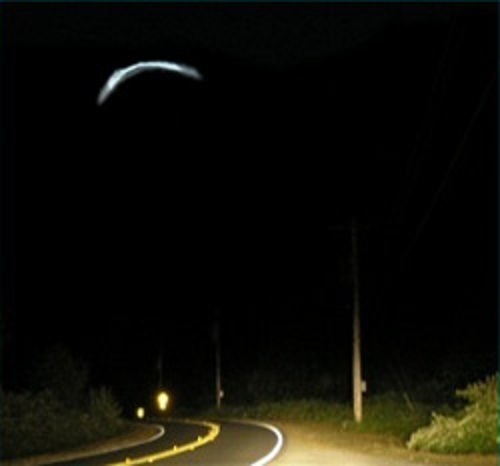 Sighting report and photos were submitted to World UFO Photos. Special thanks to Gary Young Photographer. I was outside sitting at my picnic table late that evening. When I noticed a strange black cloud about 50 foot in diameter and shaped like a sphere came up over a low ridge line about half a mile away. This cloud was traveling south and following 5 very large black birds that never moved their wings..just glided along. The birds had a wing span of about 16 feet and slender long bodies for their size. At first I thought the small black cloud was a puff of smoke coming from the strip mine after blasting the hill side or smoke from a large piece of heavy equipment up on a higher ridge behind the lower ridge. The black cloud seemed to drift along and dropped down lower after clearing the top of the smaller ridge. This black cloud was about 60 feet above the black birds trailing behind them and was following their direction toward me on a downward path until I lost sight of them and the cloud against the dark background of the ridge. 30 seconds went by until the black cloud reappeared closer to us. I told my wife to grab the camera to take pictures of this strange cloud while I watched were it is going. I never saw the 5 strange black birds after I lost sight of them, just only the black cloud. My wife got the camera and as soon as she took the picture the flash of the camera caused the black cloud to immediately changed direction and sped off at an incredible speed. My wife took a second picture as fast as she could but did not get the black cloud in the second one. 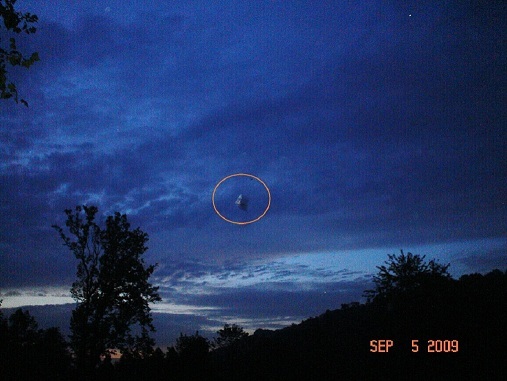 Once we looked at the pictures on the digital camera we were shocked that exactly where the black cloud should have been was this strange craft with another even larger craft higher up that was traveling in the same direction that was not visible to us. In the pictures, I estimated that the craft was 12 feet in diameter at its base and 16 feet high 3 sided bell shaped craft with a dome shape bottom.